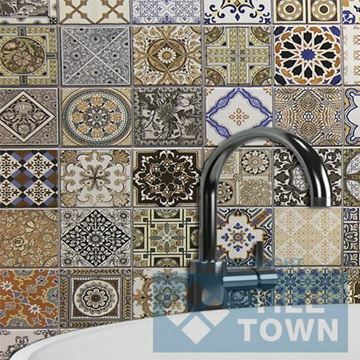 We love all sorts of tiles, here at Tile Town, but here’s where we talk up porcelain - it really is a great option for your walls and we’re really proud to have such a great selection for you to choose from. 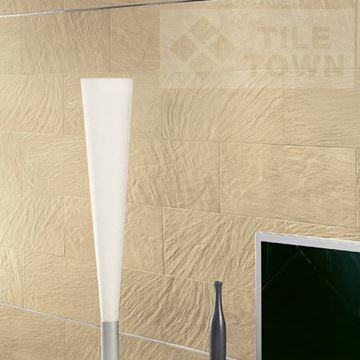 Porcelain walls are an amazing way of transforming the way a room looks. 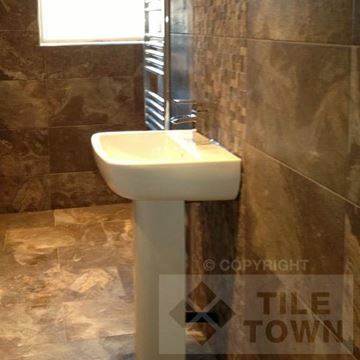 Cover all or part of your walls with any of our excellent range of porcelain wall tiles and achieve the look you want. 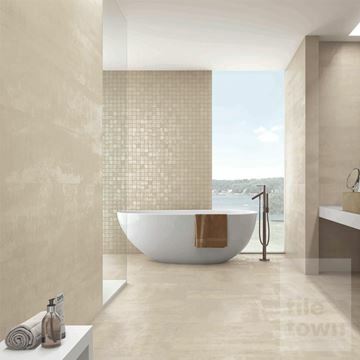 Our porcelain wall tiles combine a luxurious appearance with water-resistance and durability, making them the perfect choice for those key areas of your home like bathrooms, kitchens, laundry rooms and basements, giving you peace of mind and ease of maintenance. 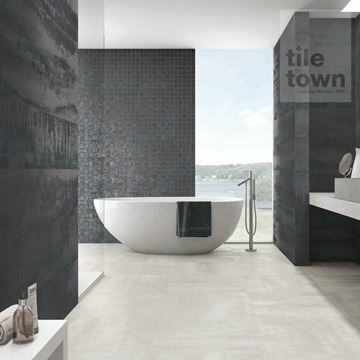 Tile Town have the absolute finest range of porcelain tiles that you’re going to see. 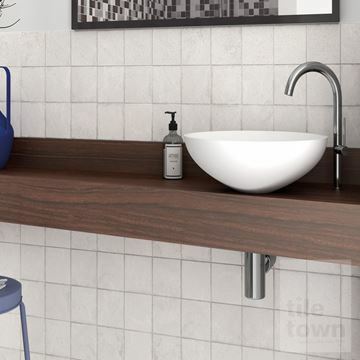 The first thing you'll notice about our porcelain range – apart from the sheer range and beauty – is that these tiles are heavier than ceramic tiles. 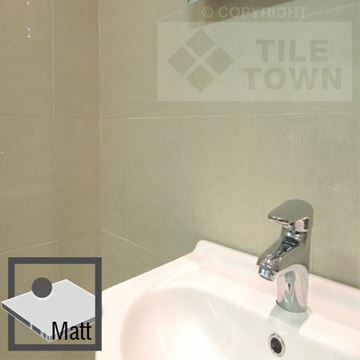 That's because they are much denser and tougher, and their naturally glossy surface provides a superb level of protection from water ingress - especially compared with ceramic. 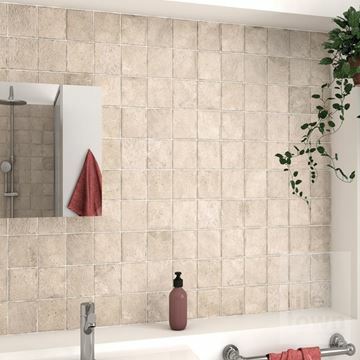 They can even be used outside as their water resistance makes them virtually frost resistant too. 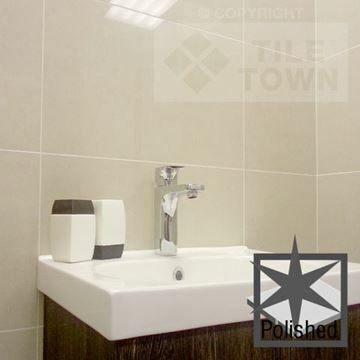 They are also incredibly hard-wearing, being baked at higher temperatures than most ceramics. This makes them extremely robust, lasting for decades without fading or losing their attractiveness. 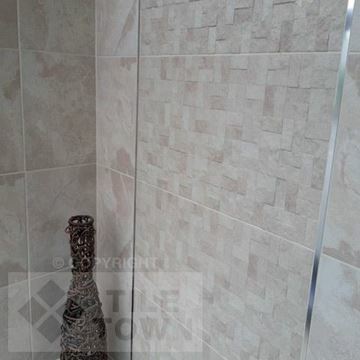 And they are considered very hygienic as the glazed surface is easy to clean and is inhospitable to dust mites, germs and bacteria. 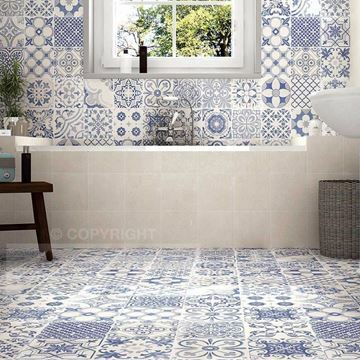 This ease of cleaning makes porcelain tiles perfect for putting above and around areas like the hob, where you’ll see the most mess. 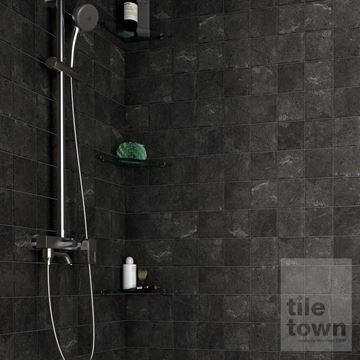 This factor, along with their water-resistance, makes them a great solution for any room where things are always getting wet. They’re also a pretty face. 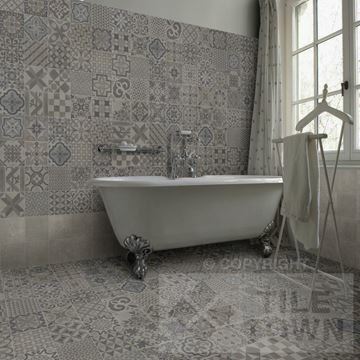 Our exciting porcelain tiles come in a huge range of different sizes, amazing colours and sensational finishes. 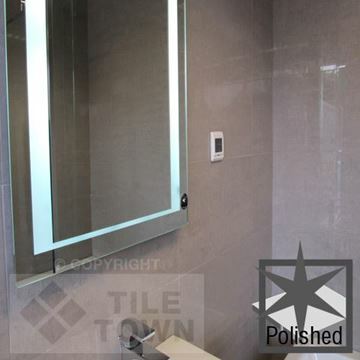 Now you can enhance the appearance of your bathroom, kitchen or laundry room quickly and easily. 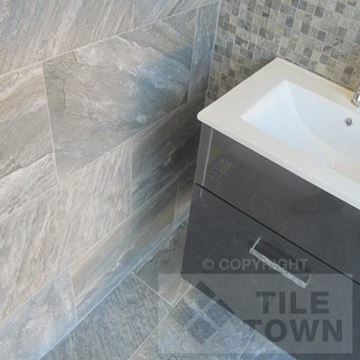 Choose from porcelain wall tile designs with soft, natural hues or bold and bright colours. 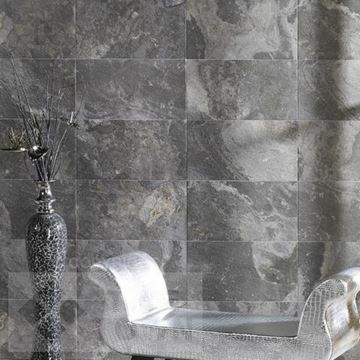 Maybe you want something more visually dynamic - try one of our several patterned designs and they’ll make the wall the focus of attention in that room. 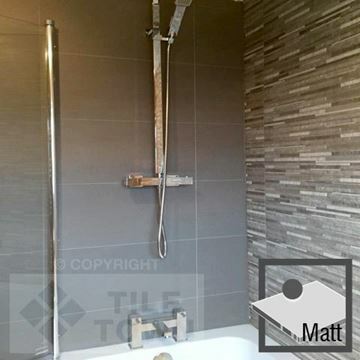 Consider whether matt, gloss or textured finishes are best for you. 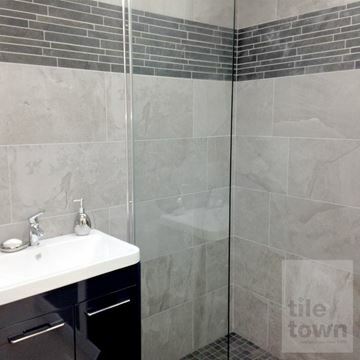 Select from styles that complement your home as a whole or make the room completely unique - whatever you want to do, we’ll work with you to help you achieve it. 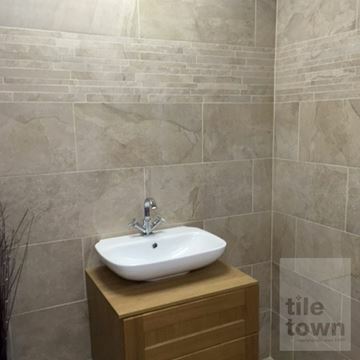 You’ll be buying from the East Midland's top tile supplier, and we supply porcelain wall tiles for DIY home improvement as well as the trade. 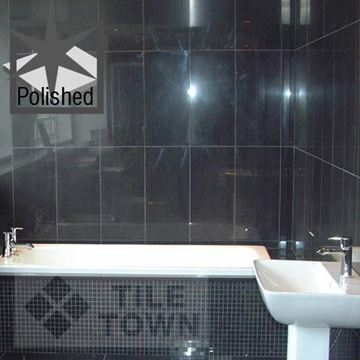 Explore our stunningly attractive tile showrooms and get hands on with the tiles. 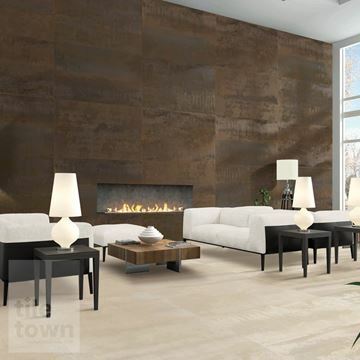 Feel free to discuss your porcelain wall tile ideas with Tile Town's expert staff who are happy to offer their advice without obligation. 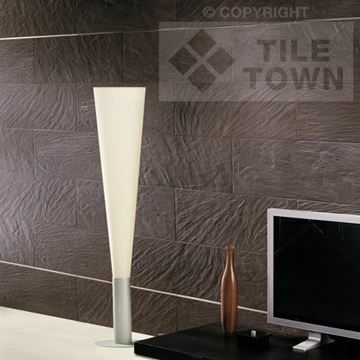 Whatever you choose, you can be sure that when you buy your porcelain wall tiles from Tile Town, you won’t be leaving dissatisfied.